In today’s fast-paced lifestyle, it takes great dedication to ensure a living space in harmony with nature. By adding small changes in your purchasing habits, you can ensure that you leave no harmful imprints on nature. 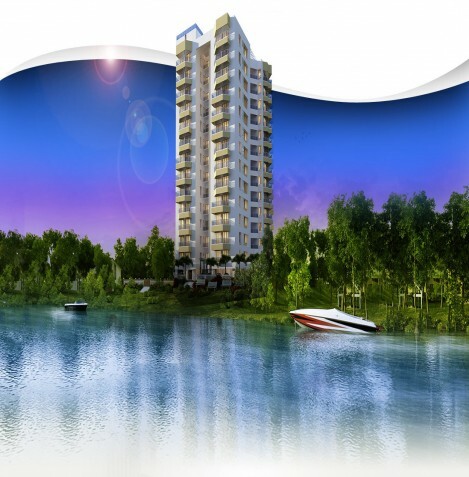 Below are a few tips that you can use to ensure a green lifestyle in your luxury flats in Kochi. A majority of synthetic products that we use today release what are known as Volatile Organic Compounds (VOC). These chemicals affect our health adversely and they build up over the passage of time to cause further damage to our health. One of the easiest and cheapest ways to combat this issue is to add plants to your living space. There are several plants, which are capable of absorbing the harmful chemicals and converting them into harmless byproducts. Furthermore, they absorb carbon dioxide and release oxygen, which also benefits your health. In addition to this, they also make your homes look beautiful. You can also use plant a small vegetable garden that will serve all these purposes. Many of the items we use today give off chemicals over a long period of time. This is called off gassing. Floor carpets are also a chief contributor to this phenomenon. Many of the floral carpets, rugs on sofas, and bed areas cause off gassing of chemicals. Therefore, it is advised to use natural substitutes for these purposes. Rugs made of wool, jute, or sisal, are of natural origin and they can be washed regularly. This will prevent the off gassing in your living space. Modern furniture is made of several chemicals, which contribute to off grassing. These keep adding chemical s to your living space long after they are kept in their positions. Thus, it is better to opt for vintage furniture to replace them. They are a greener choice because they do not contribute to off grassing, as it would have already happened in its initial years. Secondly, vintage furniture does not release harmful chemicals in general. Therefore, you can some vintage furniture and add a bit of class to your dwelling area. The paint on your wall could also be a major contributor to the release of VOC. There are several paints in the market today, which are low on toxic chemicals. Make sure you use these to reduce the release of toxins in your new apartments in Cochin.